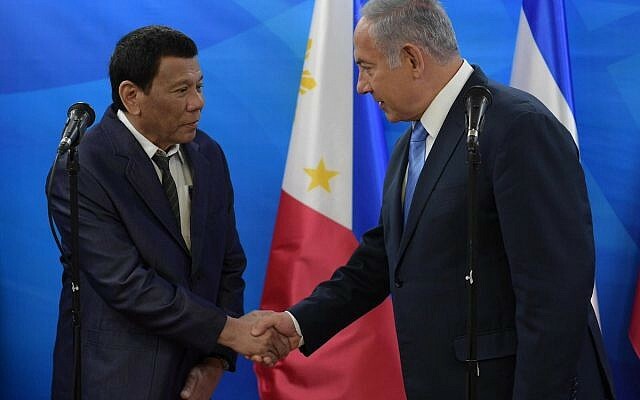 Israel’s Prime Minister Benjamin Netanyahu has extended a warm welcome to controversial Philippine President Rodrigo Duterte at the start of an official visit. The two leaders oversaw the signing of three agreements in trade, science and care-giving. Mr Netanyahu highlighted the countries’ long friendship, how the Philippines took in Jewish refugees after the Second World War and was the only Asian nation to vote for Israel’s establishment. 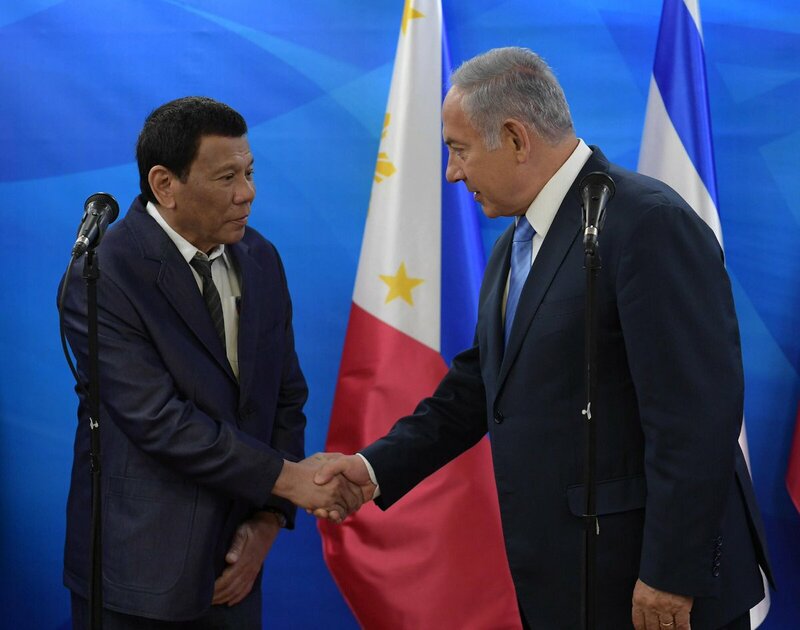 “We remember our friends and that friendship has blossomed over the years and especially over the last few years,” Mr Netanyahu told Mr Duterte. Mr Duterte has been accused of condoning human rights abuses in his deadly drug crackdown and has made controversial comments about the Holocaust. He drew outrage in 2016 when he compared his anti-drug campaign to the Nazi genocide of Jews and said he would be “happy to slaughter” 3 million addicts. He later apologised. Official Philippine police tallies place the number of suspects killed in police-led anti-drug raids at more than 4,500 since Mr Duterte took office in June 2016. Mr Duterte, a 73-year-old former government prosecutor, denies condoning extrajudicial killings but has openly threatened drug dealers with death.